Welcome to J&J Vinyl Fence, Redondo Beach's premier choice for long-lasting, beautiful vinyl fencing that perfectly enhances, protects, and defines residential and commercial properties. Since 1978, we have satisfied thousands of customers by expertly customizing, fabricating, and installing high quality vinyl fencing at the most cost-effective rates across Los Angeles County. 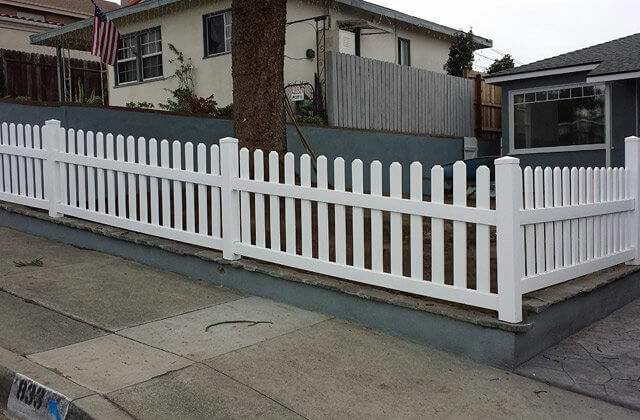 As a full-service fencing contractor, we provide our Redondo Beach clients with durable, charming vinyl fences and gates that are long-lasting and require little to no maintenance. Our vinyl fencing is backed with some of the best warranties in the industry, issued by trustworthy manufacturers with whom we have long-standing relationships. In addition to vinyl fencing, we also offer sophisticated and affordable custom aluminum fences and gates. 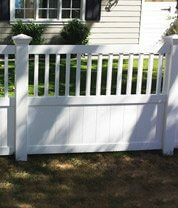 At J&J Vinyl Fence, our priority is skillfully and efficiently servicing each and every need of our clients. Our owner, one of our many trained fence experts, personally oversees each job from start to finish, no matter how big or small. That's because we want to be sure that we are consistently providing our Redondo Beach clients with exceptional customer service and vinyl fencing of the highest quality. 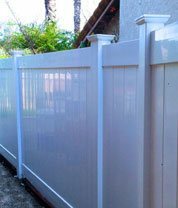 Our custom vinyl fencing is an excellent alternative to wooden fencing for property owners in Redondo Beach who want virtually maintenance-free fences that never fade, rot, blister, warp, or peel. Not only does vinyl fencing entail very little upkeep, but it's also affordable, environmentally-friendly, and serves a multitude of applications. Similarly, aluminum fences and gates are a great alternative to steel or iron fences, because they can offer a similar look without the maintenance. Our vinyl and aluminum fences have been installed around homes, pools, farms, ranches, tennis courts, parks, school yards, school nurseries, gardens, pavilions, and a wide variety of other properties. Our seasoned craftsmen use premium quality materials to create your vinyl fence, customizing the details of each component to match it with your desired architectural style. 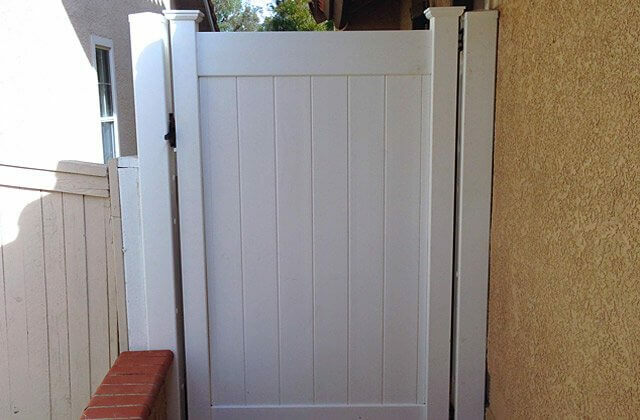 We offer Redondo Beach vinyl privacy, semi privacy, ranch rail and picket fencing in numerous colors and finishes, and with a wide selection of enhancements, such as lattice toppers and post caps. Call us today to speak with one of our knowledgeable employees. First time vinyl and aluminum fencing customers qualify for a 10% discount. Vinyl privacy fencing is the perfect enclosure for property owners who prefer a higher degree of security and privacy. At J&J Vinyl Fence, we use fencing materials produced by reliable manufacturers such as ActiveYards®, whose products come with sophisticated technology that securely locks the fencing structure in place from the inside out to create an airtight fence that is resistant to wind and harsh elements. Our structurally-sound privacy vinyl fencing ensures Redondo Beach property owners are getting a pristine, protective barrier surrounding their property that will look great for decades. In addition, privacy vinyl fencing provides all the benefits of a wood fence without any of the downsides; your vinyl fence will never rot, fade, flake, peel, or warp. It also comes with a manufacturer-issued lifetime warranty. To learn more about our Redondo Beach vinyl privacy fencing, call one of our fencing specialists today. Estimates are free and first-time customers receive a 10% discount off our services. 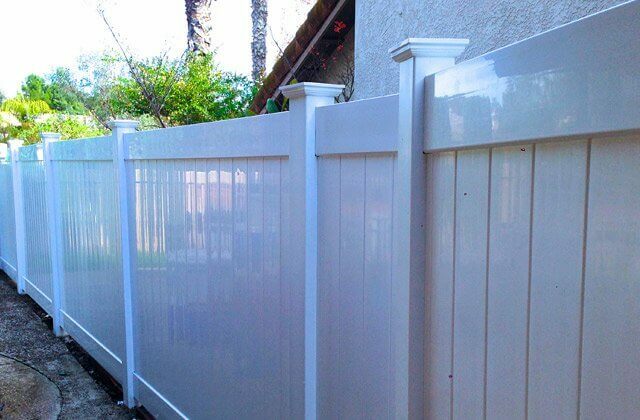 With over 35 years of experience in the fencing industry, the employees at J&J Vinyl Fence are experts at customizing and installing vinyl semi-privacy fencing for residential and business properties. Our semi-vinyl fences are built to reflect the precise privacy, security, and design specifications of our clients. We use leading quality tools to custom cut your fence to any height, width, or size. Unlike other fencing contractors, we individually cut each picket and rail to ensure that your fence comes together smoothly and that the fence is perfectly even and proportional. 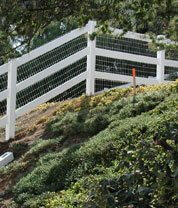 We extend this level of care and precision to the fence's installation as well. Custom vinyl semi-privacy fencing is best for property owners who desire protection and security, yet would like more room for architectural creativity. With vinyl semi-privacy fencing, you can build your fence to include the precise amount of privacy you'd like, and with endless design options. This can include anything from lattice-tops and open boards, to arbors and trellises. With our skilled craftsmen, affordable prices, and premium quality vinyl, we are able to meet whatever semi-privacy vinyl fencing needs you may have. Call us today for a free on-site estimate in Redondo Beach. We provide a 10% discount off our services to all first time clients! 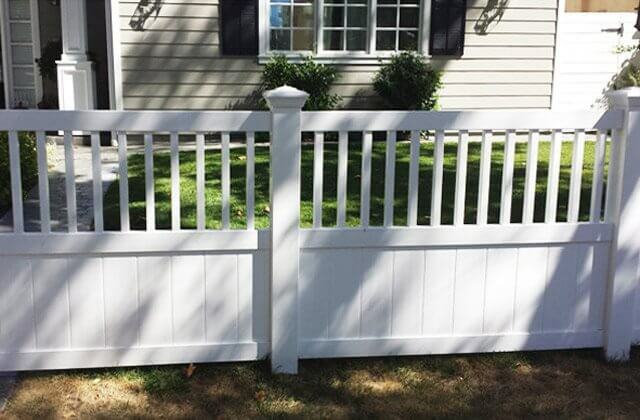 Vinyl picket fencing is most often used in gardens, pools, front and back yards, and apartment buildings. This type of fence gives the appearance of a vintage American home. J&J Vinyl's custom vinyl picket fences can be finished in a white, tan, or textured wood-grain finish that looks almost identical to wood. We also offer an array of post cap designs such as solar-powered, lighting, Gothic, pyramid, ball post, New England, Federation, and more. Vinyl picket fencing is an excellent alternative to wood fencing because it offers an exquisite looking fence that will protect and beautify your property the way wood fencing does, but without the maintenance, repainting, or early replacement. 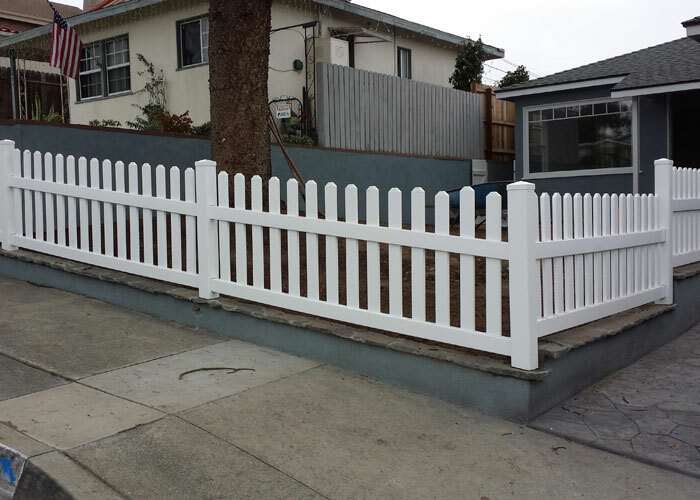 Call J&J Vinyl Fence today to receive a free estimate on our Redondo Beach vinyl picket fencing services! Every Redondo Beach fence needs a gate that perfectly coincides with its style as well as its security objectives, if any. 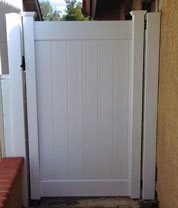 At J&J Vinyl Fence, we are talented at creating beautiful and functional manual and automatic vinyl gates to match any style of vinyl fence. We use premium quality vinyl and hardware to fashion our vinyl gates. Everything from the latches, locks, handles and deadbolts are built to last, and powder coated for extra protection and durability. In addition to first-rate hardware, our automatic gates feature state-of-the-art technology. Whether you'd like an access control system or in-gate operator, our in-house electrician will program your gate to connect to anything, from your Smart device to a keycard for proximity-based entrance and exit. We are experts in gate entry systems from DoorKing, Viking Access, Elite Gate, and other leading manufacturers. Call the fencing specialists at J&J today to schedule your free vinyl gate estimate, and receive a 10% discount as a new client. Aluminum fencing is another wonderful alternative to traditional fencing materials because of its inherent durability, visual appeal, and low maintenance. Aluminum fencing and gates have the timeless appearance of wrought-iron and steel fencing but don't require any of the associated upkeep or necessary upgrades overtime. 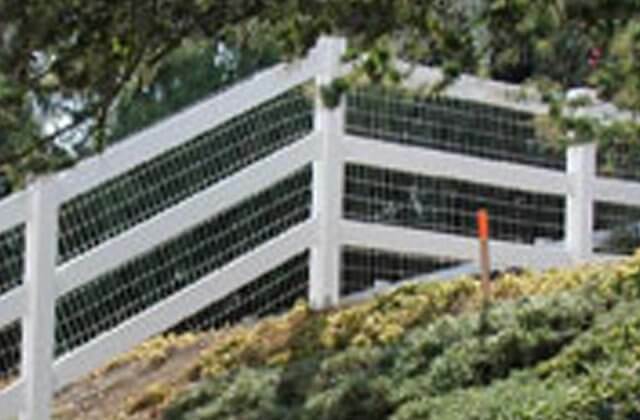 All of our aluminum fences feature a powder-coat finish that makes them resistant to cracking, peeling, rotting, and fading as well as resistant to erosion caused by chemicals and corrosive compounds like salt (a rather significant problem for those who live near the California coast). Our custom aluminum fences and gates can be built to fit any design preference and are backed by a lifetime manufacturer warranty. Call J&J Vinyl Fence today to receive a complimentary on-site estimate on your future aluminum fencing and gate in Redondo Beach. First-time customers are provided with a 10% discount off our services. 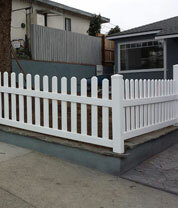 J&J Vinyl Fence installed this dog eared white picket vinyl fence in Redondo Beach, CA. This residential vinyl fence installation compliments our client's home nicely.